Seize the most exciting season of your life! All 18-23 year olds welcome to adventure here. The eighteentwentythree community welcomes you! Check it out! We are a real community of people doing life after 18 and through 23, and we don’t want to do it alone. So come hang out. Find opportunity and your purpose in this season of life. Our Summer Nights connect group schedule is below! Check our calendar for meet-up events and find community – for you. We would love to stay in touch with you if you attend school away! Please fill out your contact information and keep in touch with your 1823 family! Provide your birthday & college address and expect something in the mail! What can we pray about for you? We serve in our church family! We need help greeting, serving coffee in our cafe, jumping around with our Surfside Kids and mentoring our middle school students! Come find life by giving to others! The 18 to 23 creators built this group out of small town Safety Harbor, FL. But the community connects all around the world. 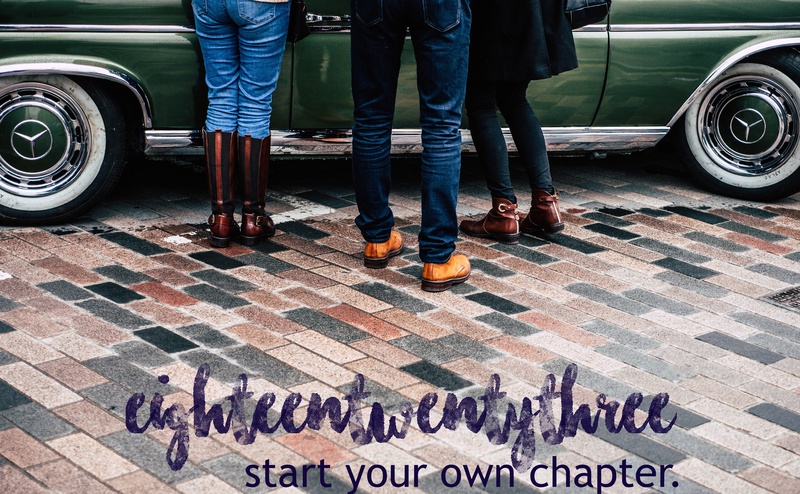 Start an eighteentwentythree chapter where you are. Grow your own community of purpose.